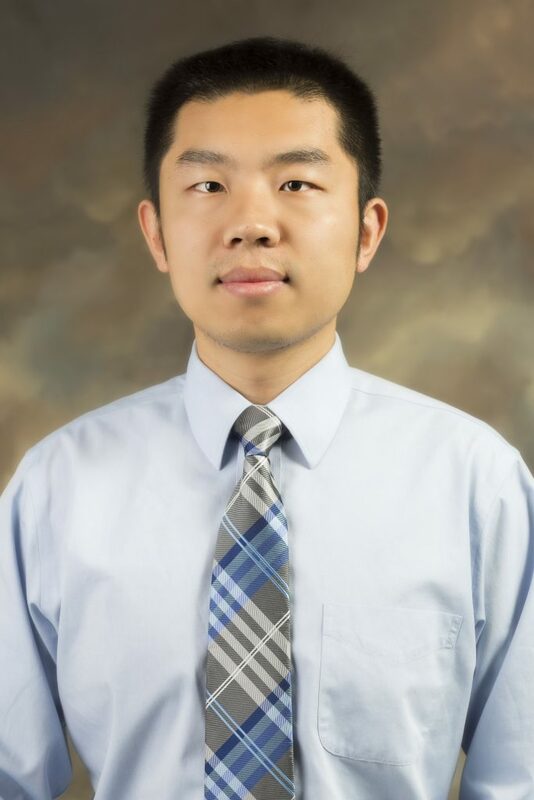 Hantang Qin joined the IMSE faculty at Iowa State in fall 2017 after completing his PhD in industrial engineering from North Carolina State University. Dr. Qin recently sat down with us to discuss his background, his current research, his hobbies and everything in between. Tell us a bit about yourself. Where are you originally from and when did you first begin developing an interest in engineering? I originally graduated from Zhejiang University, Hangzhou, China, with a degree in electrical engineering. At that time, I was involved in research projects related to magnetic levitation control system. The maglev train runs 430 kilometers per hour – or 286 miles per hour – and is the best in the world. It makes me feel excited just being part of the most advanced technology which may be used on the most advanced products. You studied electrical engineering and automation as an undergrad. Why did you switch to industrial and system engineering for graduate school? In what ways are these two different fields similar? Back to the time when I was applying for graduate school, 3D printing was a very new concept and was just starting to draw attention. I always wanted to work on the most frontier technologies and was attracted by the elegant layer-by-layer manufacturing concept of 3D printing. That was my motivation when I decided to switch to ISE focusing on additive manufacturing. Research is all about philosophy. Though the two fields sounds differently, they are fundamentally similar because manufacturing systems also require control theories to support quality assurance. What did you like about Iowa State University that influenced your decision to join the IMSE faculty here? The motto of mine is to ‘inspire, serve and adventure.’ At IMSE and ISU, I can see myself aligned with the initiatives of department and university. ISU is dedicated to deliver high quality education, research and service as a land-grant university, which attracts me to be on board. Tell us about some (or one) of the research projects you’re currently working on and what are some of the different applications this research can have? I am trying to set up a micro/nano scale hybrid manufacturing system for fabrication of electronic components based on electrohydrodynamic inkjet printing and laser ablation. If successful, my group will be able to generate functional devices for flexible electronics and wearable devices. Another project I am working on is related to quality control and assurance in additive manufacturing. We would like to significantly reduce defect rates with the help of machine vision systems. Last but not least, I’m also working on recycling metal powders from additive manufacturing machines for sustainability analysis. What classes are you currently teaching and what classes do you expect you might teach in the future? I teach undergraduate courses of I E 248: Engineering Systems Design, Manufacturing Processes and Specifications) and ENGR 160: Engineering Problems with Computer Applications Laboratory. In fall 2018, I am trying to open up a new graduate course I E 544x: Micro/Nano Scale Additive Printing. The new course is currently under review in the college now. It will be challenging but fun to stay in my class. Part of the mission of Iowa State University is to help Iowans and the state of Iowa. In what ways might you be able to help Iowa and Iowans through your research? Speaking of serving Iowans, I will introduce my 3D food printing projects. Previous studies showed malnutrition affects 20 to 50 percent of patients in hospital. If not treated properly, under-nutrition may worsen health situation, extend hospital stay, and decrease quality of life. The nutritional risk in hospital has been associated with inadequate food intake, mainly due to lack of food variety and compromised flavor and texture. The application of 3D printing to fabricate hospital food provides a new approach to fulfill each patient’s expectation and eating ability as well as control the cost of trained staff. The goal of this project is to enable the healthy lives of patients/seniors in local hospitals and nursing homes of Ames and design the next generation materials and manufacturing technologies for 3D food printing. What do you do in your free time outside of your academic and professional pursuits? I’ve watched Westworld from HBO because my students told me that it is related to 3D printing of human bodies. This is going to be daily life in the future. I love sports, especially soccer, basketball and football. However, I only watch elimination series or playoff games when I have time. You may see me on the court at the gym as well playing basketball. What have been your impressions of Ames and Iowa since moving here? I believe I just went through the longest and harshest winter of Ames in the past ten years. So, from now on, each winter is a better winter. People here are so nice and friendly. My family loves Ames and Iowa. We are officially part of the Cyclone family and consider ourselves Iowans already.